CTI plays a critical role in the social and economic health of the communities it serves, providing direct assistance to residents of more than 40 cities and towns. 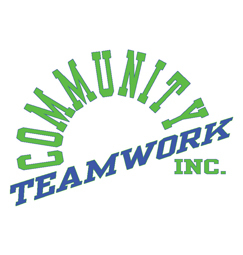 As the area’s leading anti-poverty agency and one of the Commonwealth’s nine regional housing agencies, CTI knows the value of bringing agency and community resources together to best help an individual or family out of poverty. By leveraging its resources with those of its many partners, CTI has been able to expand access to affordable housing, transportation, early education and child care, fuel assistance, energy conservation programs, nutrition programs, health care, jobs and living wages, training and education – allowing many more individuals and families to grow and prosper in the Commonwealth. This past year, CTI served nearly 40,000 individuals from infants to senior citizens and people from dozens of ethnic groups and every walk of life. In serving these individuals, CTI employees help community members to achieve a sense of stability. For over 43 years, CTI has successfully endeavored to assist low-income people to become self-sufficient, to alleviate the effects of poverty, and to empower low-income people to participate in the decisions that affect their lives.